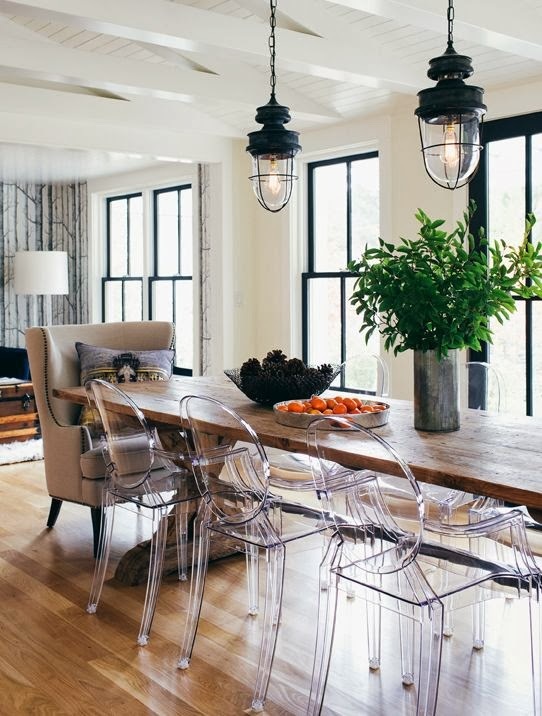 This dining room is a wonderful mix of rustic meets modern meets industrial chic! The raw wood table is beautiful and the oversized upholstered hostess chairs, along with the crystal clear ghost chairs all seem to compliment each other perfectly. The industrial pendants add a nice touch and I love the white wood ceiling. What else are you noticing about this space? Happy Friday to you all! Enjoy your weekend!